Sometimes we really don’t know what gifts lay dormant within us. 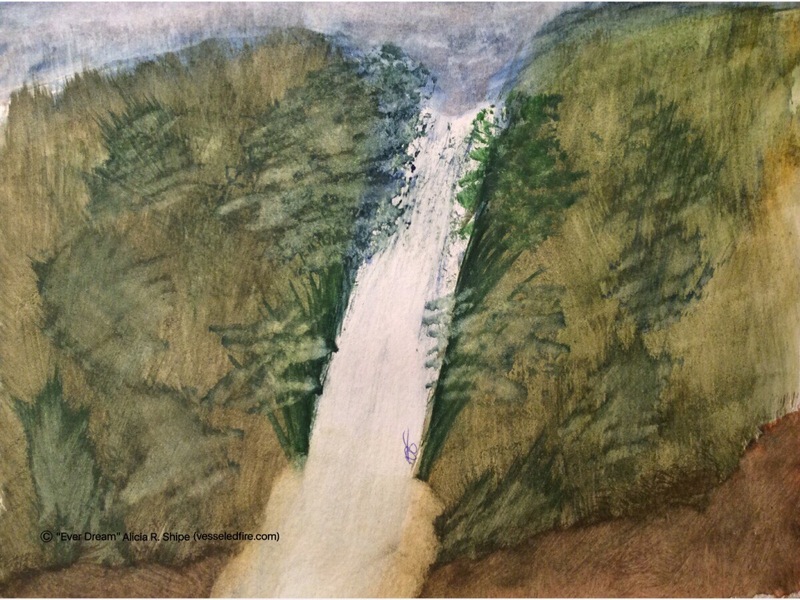 This was one of my first attempts at creating a waterfall with paints. I was stunned when the piece was completed. You never know what you can do until you try; hence the title of this piece “Ever Dream”. If you can dream it then it is within you to achieve it on some level.